About a quarter of the northern hemisphere is covered with permafrost. Now, these permanently frozen beds of earth, rocks and sediments are in fact not that permanent: they are increasingly becoming defrosted. Climate change caused by man, heats up this land, melts ice and releases the earth. This may sound like any benign spring defrost, but permefrost can cause serious damage: forests are falling; roads collapse; and ironically, warm soils release even more greenhouse gases, which can worsen the effects of climate change. From the first signs of defocation, scientists rushed to monitor the emissions of the two most influential anthropogenic (human) greenhouse gases (carbon dioxide and methane). But until recently, the threat of the third largest (nitric oxide) was largely ignored. In the latest Environmental Protection Agency (EPA) report (since 2010), the agency rated these emissions as "negligible". Perhaps because gas is difficult to measure, few studies contradict this claim. A recent document shows that nitric oxide emissions are about twelve times higher than the assumption for defrosting Alaska Permafrost. "A much smaller increase in nitric oxide would result in the same climatic change than would be caused by a large amount of CO2," says Jordan Wilkerson, the first author and postgraduate student at James G. Anderson, prof. Chemistry at Harvard. Because nitric oxide is about 300 times stronger than carbon dioxide, this disclosure could mean that the Arctic and our global climate are more dangerous than we thought. 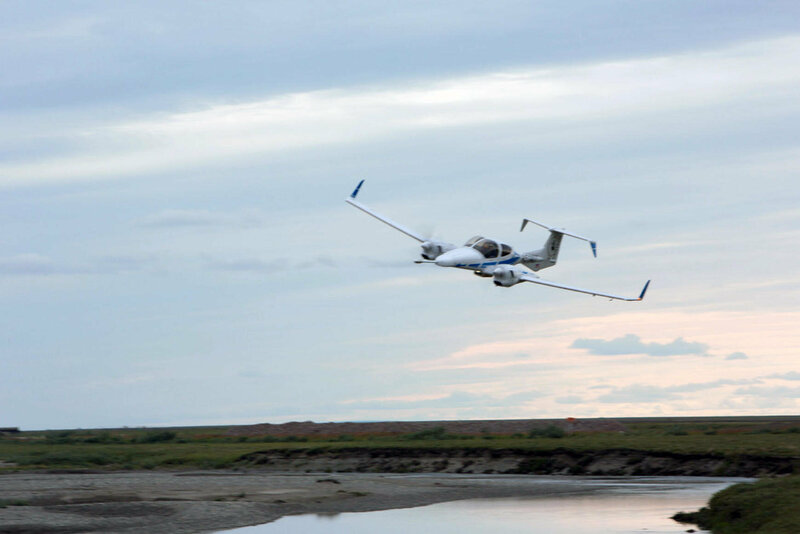 In August 2013, members of the Anderson laboratory (pre-Wilkerson) and scientists from the National Oceanic and Atmospheric Administration (NOAA) went to the north slope of Alaska. They brought an airplane that was large enough for one (small) pilot. An airplane low, no more than 50 meters above the ground, the airplane collected data on four different greenhouse gases to approximately 310 square kilometers, which is 90 times larger than the Central Park. By using a vortex covariance technique that measures the vertical wind current and the concentration of tracer gases in the atmosphere, the team can determine whether the gas has risen more than downwards. In this case, what is happening does not always decrease: greenhouse gases are rising to the atmosphere, where they retain heat and heat the planet. And, nitric oxide poses another, a particular threat: Up in the stratosphere, sunlight and oxygen join together to convert gas into nitrogen oxides that eat on ozone. According to EPA, atmospheric levels of gas increase and molecules can remain in the atmosphere for up to 114 years. 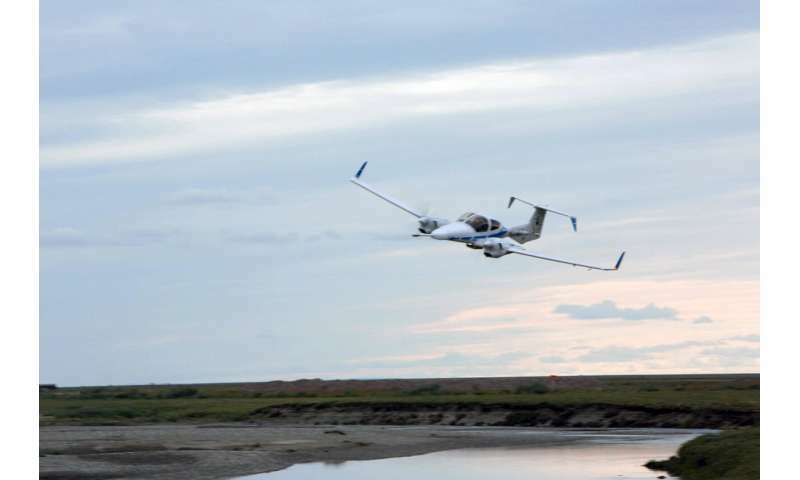 In Alaska, Anderson's field team focused on carbon dioxide, methane and water vapor (natural greenhouse gas). But their little plane was also picking nitrogen oxides. When Wilkerson joined the laboratory in 2013, the data on nitric oxide remained crude, untouched. So he asked if he could analyze the numbers as a side project. Of course, Anderson said, go ahead. Both expected that the data will confirm what everyone already knew: nitric oxide is not a credible permafrost threat. Wilkerson made calculations. He checked the data. He sent it to Ronald Dobosy, another author of the paper, a scientist for the atmosphere, and a cockroach specialist at Oak Ridge University (ORAU) at NOAA. "I was skeptical to make this happen," says Dobosy. After triple reviews, Wilkerson had to admit: "This is a very widespread, fairly high emission." In only one month, the aircraft recorded sufficient nitrogen oxide to meet the expected limit for the whole year. Still, the study collected data on emissions in August. And even though their plane covered more land than any previous study, the data represent only 310 of the 14.5 million square kilometers in the Arctic, such as the use of the Rhode Island size plot representing the entire United States. Nevertheless, some recent studies confirm Wilkerson's findings. Other researchers used chambers to cover gas emissions over months and even years, covered with tundra, covered slabs. Other studies eliminate cylindrical "cores" from permafrost. In the laboratory, the researchers warmed the nucleus in a controlled environment and measured the amount of gas released by the peat. The more the heated the soil, the more nitric oxide has elapsed. Both halls and cores cover even less soils (not more than 50 square meters) as Anderson's air system. But all three together point to the same conclusion: permafrost emits much more nitric oxide than expected. "These findings are much more serious," says Wilkerson. Wilkerson hopes that these new data will inspire further research. "We do not know how much it will increase," she says, "and we did not know it was even important until the study came out." Right now, towering covascular towers – the same technology used by Anderson's crew in their plane – monitor emissions of carbon dioxide and methane in the Arctic. Anderson was the first to use air covariance in the air to collect data on nitrogen oxide levels in the region. And apart from small but important studies of chambers and cores, no one observes the strongest greenhouse gases. Since the Arctic is heated almost twice as fast as the rest of the planet, it is assumed that permafrost is defrosted with an ever-increasing degree. These warm temperatures could bring more vegetation to the region. Since plants eat nitrogen, they could help reduce future levels of nitric oxide. To understand how plants can reduce risk, researchers need more risk data. In his place, Wilkerson hopes that the researchers will hurry and gather this information, either by plane, tower, chamber or core. Or even better, all four. "This has to be dealt with more seriously than now," he says. Permafrost can be trapped in a constant cycle of climate change: when the planet is heated, permafrost melts, warms up the planet, melts frost and continues and continues. To find out how to slow down the cycle, we must first know how bad the situation is. reproduced without written permission. Content is only for informational purposes.